I started a Geographical Farm in 2007 for a neighborhood with 900+ homes. At first I was just sending out Just Listed and Just Sold postcards from my listings (most of which were not in that neighborhood). I was also door-knocking and delivering Market Updates with current, pending and sold listings. I found it hard to be consistent with the mailings. In 2009 I attended a class held by Denise and purchased her Geographic Farming Training CD. After listening to this CD, in 2010 I changed what I was mailing to my farm—instead of Just Listed / Just Sold cards for my own listings, I started sending out postcards called Gatewood Market Watch with homes that had sold in that neighbor-hood. I found this much easier to create and I got a very positive response to this change! I was printing the cards myself to save money, and I was still finding it hard to be consistent. In July 2011 I joined Denise’s EVOLVE coaching program and had the Lones Group develop a custom brand for my business. In October 2011 I sent out my first professionally printed, custom branded postcards! 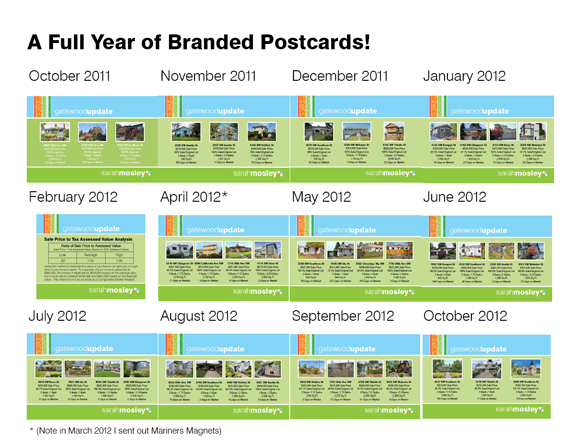 Since joining EVOLVE and branding my business I have developed a consistent plan to mail my postcards out EVERY MONTH! See the next page for pictures of the postcards I sent out over the last year. 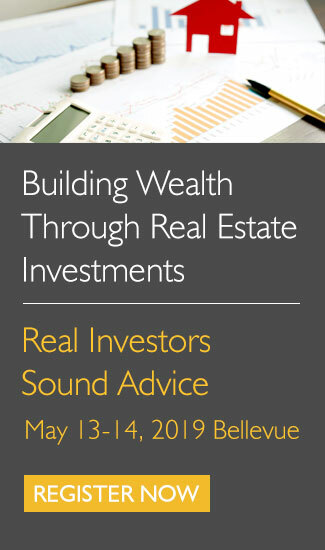 Posted in Branding & Design, Communication, Client Care, and Follow-up, Lead Generation for Real Estate Agents, Marketing Tags: "tell me" contest, contest, contest results, contest winners, inspiration, inspirational stories, real estate contest, story telling, success stories, Tell Me! Branded Postcards – How did Sarah get the photos for the cards? In my MLS we cannot use other agents’ photos. Thank you for that observation, Marianne! We always recommend following the MLS rules about obtaining permission before using imagery on another agent’s listings. In my MLS, I believe we are allowed to use only the first listing photo without permission. All other photos in the listing may be used only with permission.